Urban agriculture offers accessible opportunities for individuals to make a living farming, gain practical educational and job training, and provide communities with healthy, local food. Empowering urban farmers to take advantage of these opportunities and helping them succeed in urban agriculture is the focus of a six-part workshop track presented by Ohio’s newest 1890 land-grant institution, Central State University Extension (CSUE). 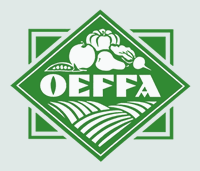 The workshop track is part of the Ohio Ecological Food and Farm Association’s (OEFFA) 39th annual conference, A Taste for Change, February 15-17 at the Dayton Convention Center. Additional workshop sessions on production, marketing, business, and green living will be offered over the two days, giving attendees nearly 80 workshops to choose from. Central State University educators will also be leading other sessions on preventing zoonotic disease transmission (Lisa Craig), business basics for start-up farms (Anthony Barwick), and legal considerations for beginning farms (Ambrose Moses). Four full-day February 15 Food and Farm School classes on livestock grazing, restorative health, food safety, and farmland access. For more information about the conference, or to register, go to www.oeffa.org/conference2018. Online registration will be open through January 29.